The Asus X range is aimed at those on a budget, and the X58C represents great value for money. The most surprising aspect of this machine is the quality on offer, putting far more expensive laptops to shame. The plastics used are more than tough enough for daily use, and the patterned chequered finish manages to be both attractive and hard wearing for most daily use. The keyboard offers keys that are firmly attached and they move with a reassuringly solid feel. The touchpad is also accurate and responsive to the touch, and a scrollbar on the right-hand side makes it easy to navigate up and down through web pages and office documents. The 2.8kg weight offers a degree of portability, but the 140-minute battery life under varied use means this machine will be of no use on longer journeys. You'll find a 15.4-inch screen in place, as with the other laptops in this group. It's a glossy Super-TFT panel with an average 1280 x 800 pixel resolution. We found it bright and colourful, and it's good enough for watching DVDs or editing photographs. The SiS graphics card offers 3D power that falls a long way short of what we've come to expect from modern laptops. You will be able to carry out basic home and office tasks without trouble. Just don't expect to play games in your spare time. 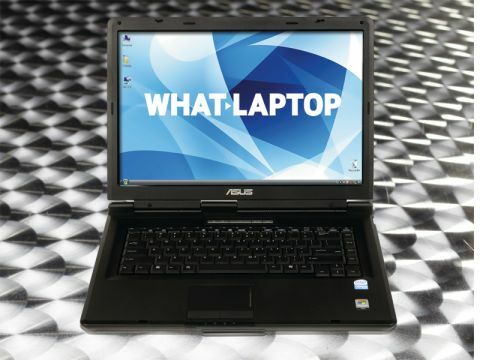 Everyday performance lags behind that of more modern laptops, due to the use of the resource-intensive Windows Vista operating system, coupled with a low-powered 1.2GHz Intel Celeron chip. That said, as long as your needs are simple it's a capable machine, only suffering from serious lag when several applications are running simultaneously. Surprising at this price, you'll find the inclusion of 802.11n Wi-Fi, offering the fastest wireless connections currently possible. The 160GB hard drive is generous, with plenty of space for storing your home and work files, and a multi-format DVD rewriter makes it easy for you to back up your data to blank CDs and DVDs. The memory card reader is also a welcome addition and lets you access files and photos from digital cameras and other devices. The inclusion of four USB ports means you'll have no trouble connecting all your peripherals, and there's a VGA-out interface for hooking up an external analogue screen or projector. As with the other laptops in this group, the X58C struggles when multi-tasking, and 3D power is also limited, but apart from that it's almost impossible to tell where corners have been cut. Overall, the excellent quality and comprehensive features list effortlessly puts this laptop among the best in its group.